A word diary template is really useful when you are looking to keep an account of your tasks and activities. It could be your studies or domestic chores or details about your meal intake. Usually, the diary is maintained for daily activities but some of the templates even offer you to keep a weekly log. Are you too planning to maintain a diary? Well, you can save yourself much of the hardwork here by taking to Word templates especially created for diary documents. You can also see Baby Book Templates. 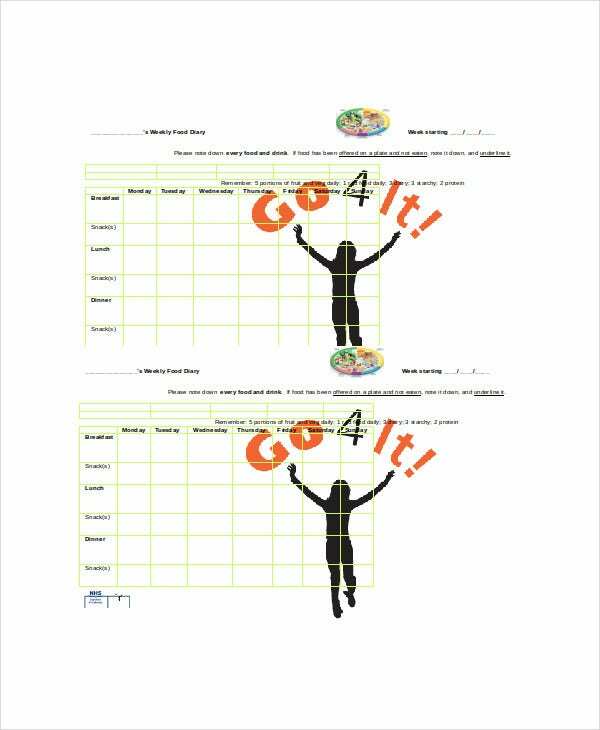 This is a brilliant food word diary template here which enables you to keep log of breakfast, dinner, lunch and snacks that you will eat for 2 days. Below, you also have a chart on target intake. If you are looking to create a comprehensive to-do list for your entire day, this daily word diary template would be the thing for you. It comes with columns on a study, personal tasks, and other tasks. This travel diary template will help your employee to offer a detailed account of the travel taken by him- with information on places visited, start and end time as well as the activities undertaken. 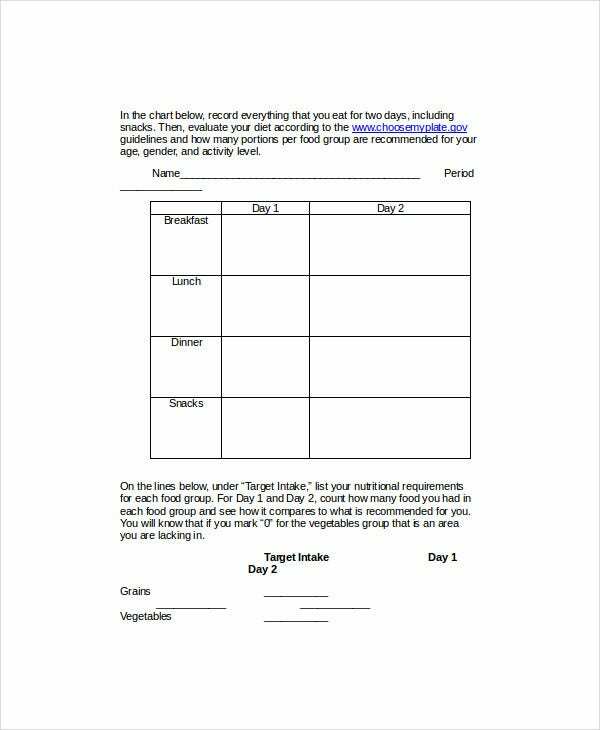 If you are looking to maintain a record of what you eat throughout the entire week, this Weekly Food Diary Template Word would be handy for you. It will allow you to note down your breakfast, lunch, dinner and snacks for the whole 7 days. You can also see Book Templates. This diary entry template word is a document where you have to create a diary on behalf of one of the characters of a book. You have a pre-designed column with instructions on what to write where. > Who Would Need Word Diary Template? Anybody who is looking to keep a record of his or her activities would need a Word diary template. The activities could be his to-do chores for the entire day. Besides, those into a weight loss routine and have to maintain an account of the daily or weekly intake, a Word diary template comes handy. You can also see Comic Book Templates. It will enable them to check later whether the intake is in sync with the target food intake or not. Then, the employers would find word diary templates beneficial as it would enable them to keep a log of the travel details of the staff sent on a official tour. > What is the Purpose of Word Diary Template? The main purpose of word diary template is to enable you to keep a record of your activities. It could be on a daily basis or a weekly log. Yes, you have everything in your mind but when you can write it down in a diary format, it gets even clearer what you have to do or what you did. Then, you can easily check the data with your proposed plan of action. 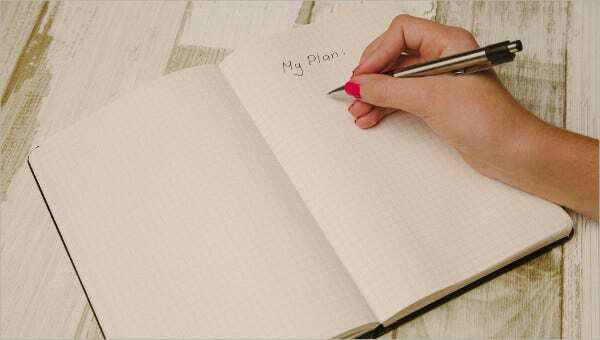 Another big purpose of the diary template is to help you in finding out whether you taking the right track as needed, especially when it comes to your food diary. > What are the Benefits of Word Diary Template? The primary benefit of word diary template is that it enables you to have a complete picture of your activities in a written format. This way you can check it whenever you want to and even if you forget what you did or what you have to have to do- the diary will let you know the entire details. Besides, this way, you can have an idea whether you are taking the steps as needed and planned or not. 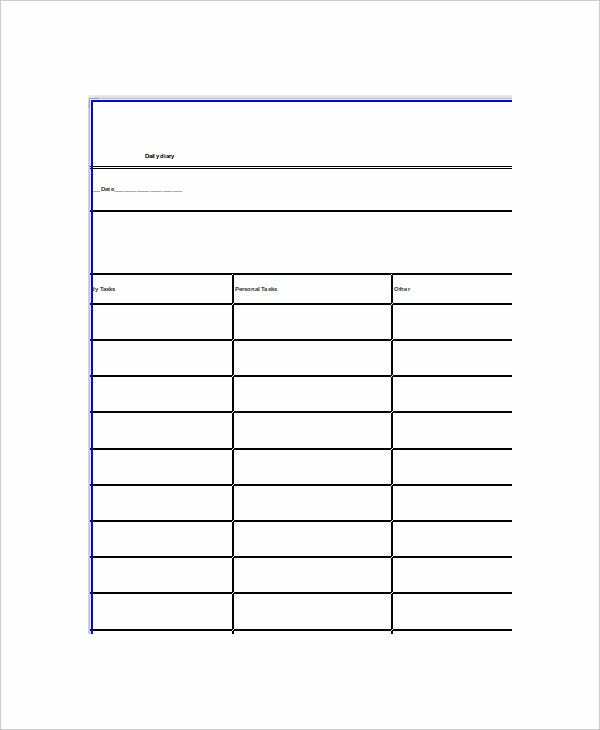 Whether you are looking to keep a record of your travel details or meal intake or your daily chores, the word diary template will be a cool deal for you. You can also see Coupon Book Templates.